Next let’s briefly touch on the NES and Super NES Classic Editions. 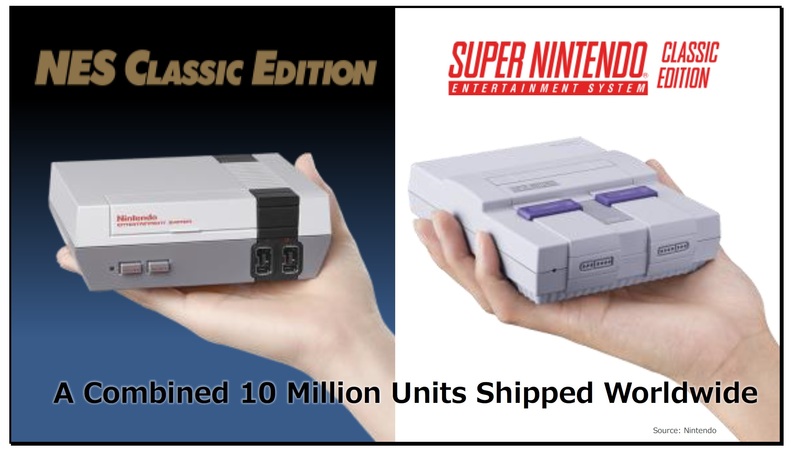 Combined global sales of the NES Classic Edition and the Super NES Classic Edition have now surpassed 10 million units. The Super NES Classic Edition, released last fall, and the NES Classic Edition, re-released in June of this year, both continue to sell as must-have products, and the fact that they are so affordable suggests that they will be in even greater demand during the holiday season. For Nintendo Labo, the new kind of play offered by Nintendo, there are now three different Toy-Con kits on offer: the Variety Kit and the Robot Kit, released in April, and the Vehicle Kit, released in September. We have seen how consumers who purchase Nintendo Labo appreciate the unique experiences it offers. Our expectation is that sales will accelerate because Nintendo Labo is a product that people can choose to buy as a gift for kids during the holiday season much like a regular toy. 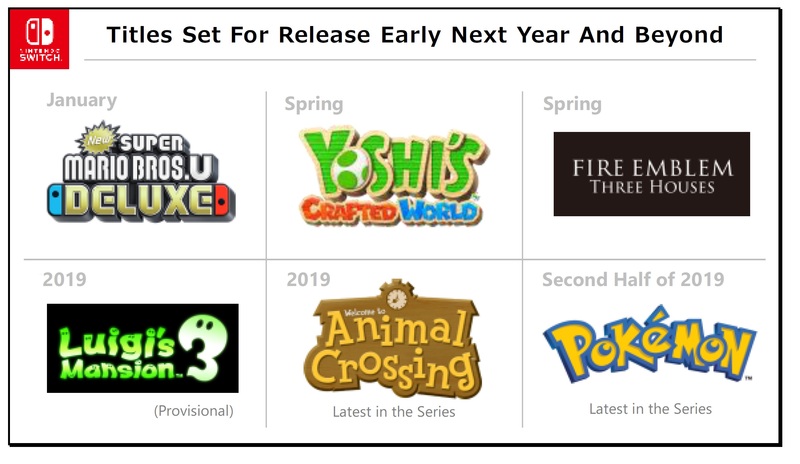 In addition, we are preparing to introduce a succession of Nintendo titles including the ones shown here early next year and beyond, so expect continual enhancement of the Nintendo Switch software lineup. Super Smash Bros. Ultimate will be released in December. 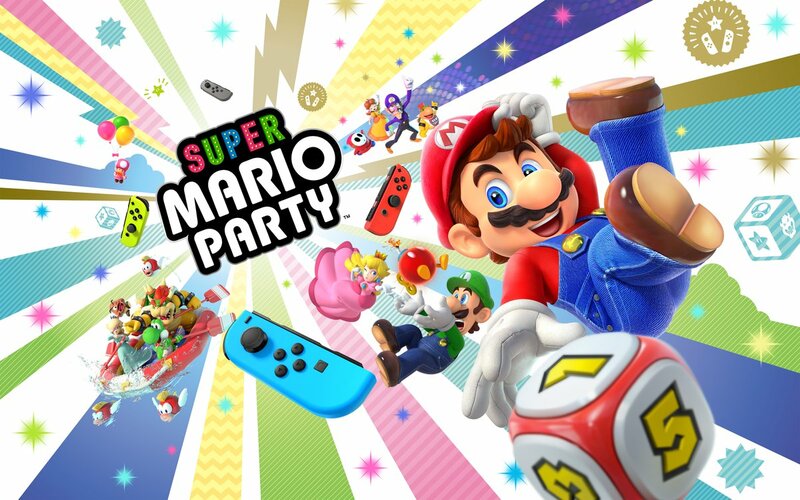 This title will be the largest-ever game in the Smash Bros. series in every aspect, with an overwhelming amount of content, bringing together famous franchises’ characters in what will be the gaming industry’s one of the greatest collaboration titles. What sets the Smash Bros. series apart is that the basic rules and operations of the game are very simple, yet for those who want to pursue the game it offers a real depth of gameplay. The games are welcoming, since people who seldom play have a good chance of witnessing the appearance of certain elements they recognize, so we are working to spark the interest of a wide range of consumers, and not just fans of the Smash Bros. series. The Smash Bros. series titles are special to our company because it is the place where the characters of Nintendo’s main titles come together. 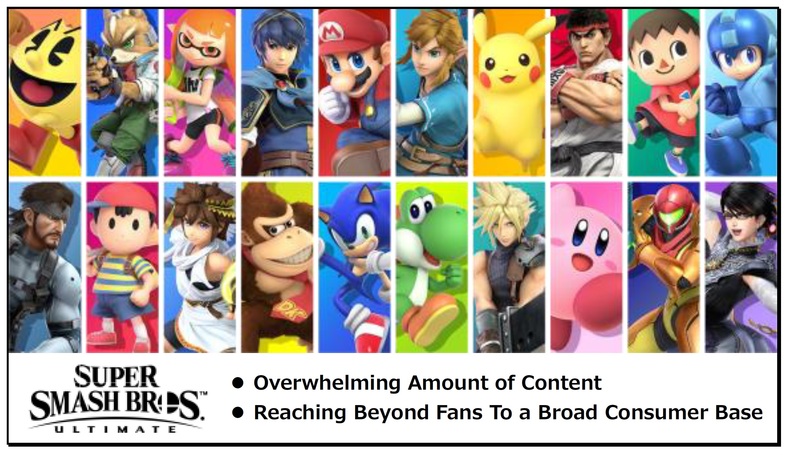 Many consumers discover Nintendo games they never knew about through the Smash Bros. series, so if Smash Bros. is spread wide across our consumer base, it will, by extension, also enhance the appeal of our overall IP. 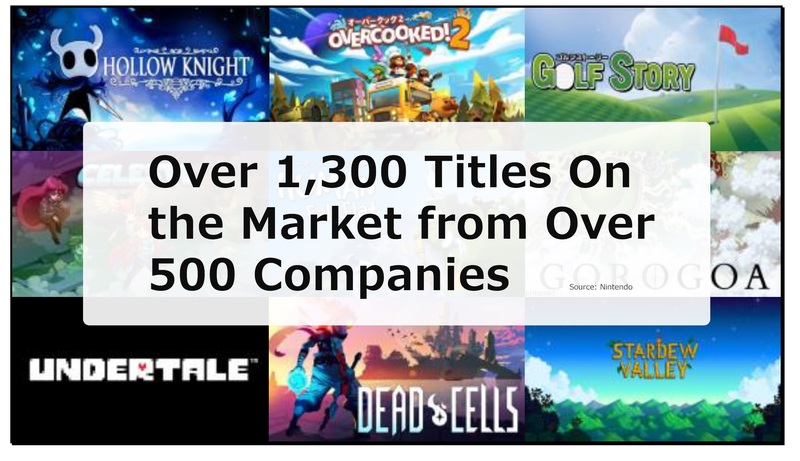 A wide variety of publishers from regions around the globe, and of all sizes including indie developers, have been on board since the release of Nintendo Switch, thanks to the early availability of a development environment. The number of publishers has further grown since then, and new titles are being released at a quickening pace, giving our consumers a continually widening selection of titles to choose from. 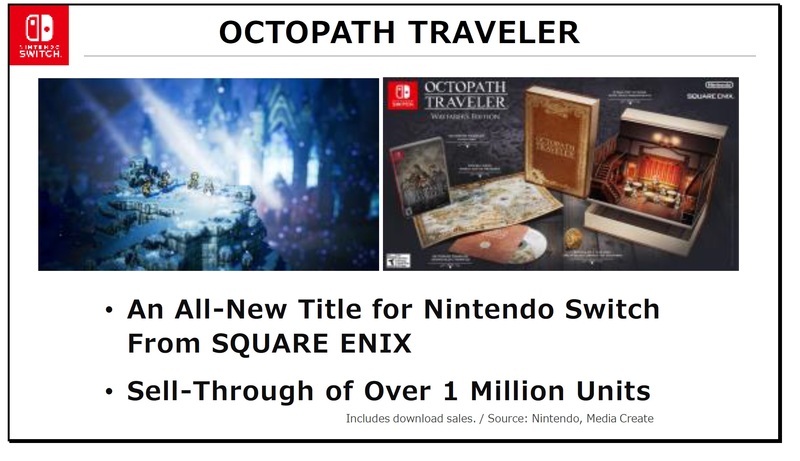 We are also seeing increased interest via multiple media from developers in Nintendo Switch development and software sales. A hit title is naturally high-quality software in and of itself, but I also consider it to be a title that consumers and developers all appreciate to be a good fit with the “play anytime, anywhere, with anyone” concept and the quick-to-start, quick-to suspend functionality of Nintendo Switch. 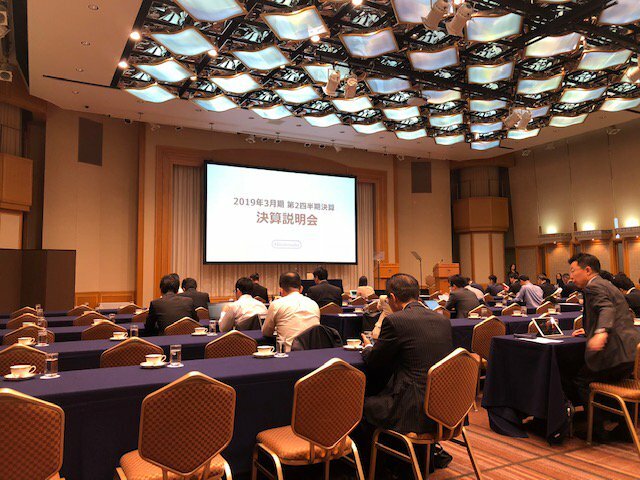 At the Financial Results Briefing in April 2018, we explained that more than 600 titles were available for purchase on Nintendo eShop. and sell-through continued to climb after that, and sellthrough has now surpassed 1 million units. 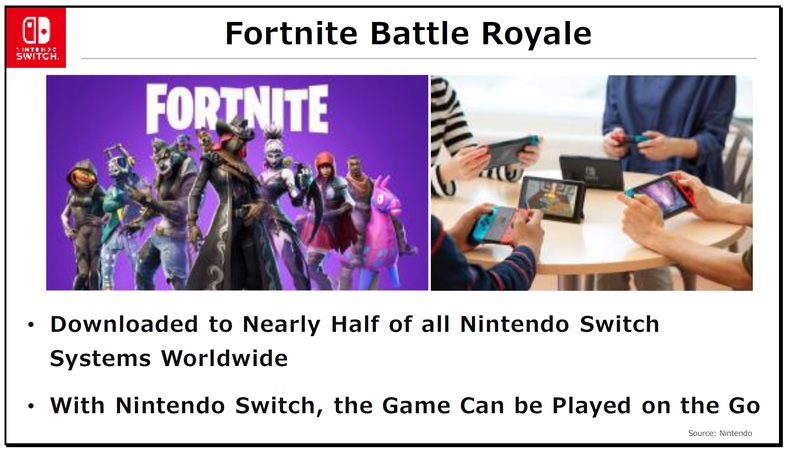 Distribution of the Nintendo Switch version of Fortnite Battle Royale from Epic Games began during E3 this past June, and since then it has shown up everywhere, not just in the US and Europe but also in Japan. 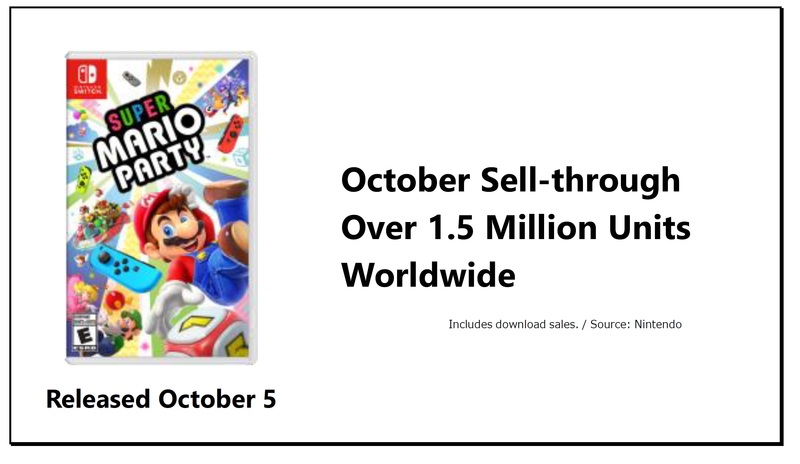 It has gained so much momentum that it has been downloaded to nearly half of all Nintendo Switch systems worldwide. Many people continue to play the game, boosting the overall utilization ratio of Nintendo Switch. Nintendo Switch is unique in that people can bring their consoles with them so they can communicate while playing at a friend’s house or elsewhere.